At the beginning of 2015 I decided to host my mobile applications Elite Ice Hockey Action and DEL Action on the Opera Mobile Store. This is the new App Store for Nokia X devices along with other Android platforms such as Yandex. 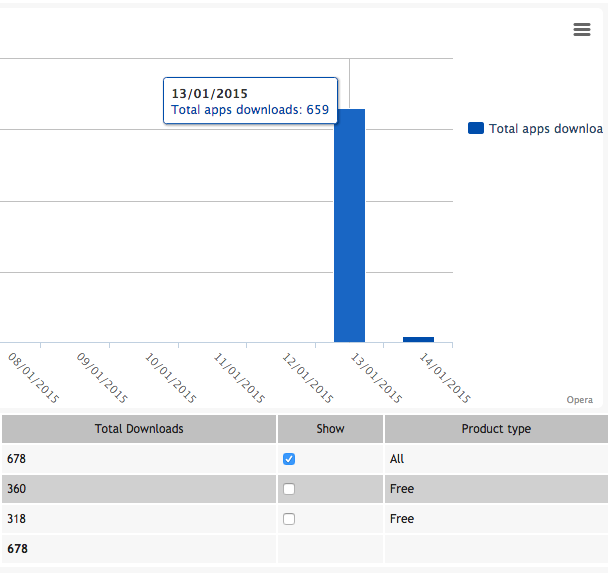 After uploading my application and releasing it for free download, these were the download statistics I received after day 1. It looks like the Opera Mobile Store is being heavily crawled by bots to find new Apps and marketing information.